After months of discussion about if and when 2016 No. 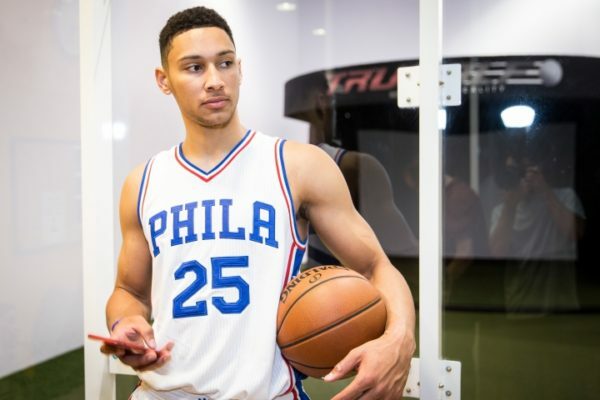 1 NBA Draft pick and potential future phenom Ben Simmons would debut in his rookie season, it appears we finally got our answer Friday and it is not the ideal one from a fan perspective. Ben Simmons will be out for the remainder of the 2016-17 season according to Corey Seidman of CSN Philly. Ben Simmons is officially out for the season, according to Sixers president of basketball operations Bryan Colangelo. Simmons had a CT scan on his injured right foot Thursday in New York which showed that the foot is not yet fully healed. He’ll have another scan in about a month, Colangelo said. “I have always known that there was a desire to get him back on the court when healthy,” Colangelo said. “We’ve always anticipated there would be an opportunity for him to play, hopefully this season. “But there was always the outside chance that it didn’t happen because there wasn’t complete and full healing. And we weren’t going to put Ben Simmons in a place where he was (susceptible) to a re-fracture. Without trying to sound too negative or be a worry wart, this news is troubling. Simmons apparently has not been able to heal from this injury in the time frame that the majority of people who suffer from the injury are able to heal. That is a weird and unexpected development for a world-class, NBA caliber athlete with access to some of the best physical trainers in the world or country at least one would assume. This could all just be an isolated thing and Simmons could go on to have a long, fruitful and mostly healthy career, but the potential reality that he is predisposed to these kind of injuries and may not possess the genetics to recover from them in a timely manner has got to be concerning for a 76ers team that has seen three of its four recent top draft picks miss their entire rookie seasons with injuries, including now former 76er Nerlens Noel and Joel Embiid. It will be mesmerizing to see how two potential generational talents in Embiid and Simmons are able to mesh together with their unique skill sets, but we can only hope that we ever get to see that come to fruition with their potential and current injury issues. Nobody wants to see another Tracy McGrady and Yao Ming situation in Houston or a Greg Oden and Brandon Roy situation in Portland.